According to a recent survey on Delivering Customer Choice, 66% of retailer customers have a preference for the shop offering more delivery choices, among which a time slot and a guaranteed delivery date are expected by over 80% interviewees. Thus, Magento 2 Order Delivery Date extension is a must-have module to make your websites different from the competitors and attract more visitors for more sales. With the help of this extension, both customers and admins can select the delivery date and time slot at their convenience. 1.1 Does The Default Support Magento 2 Delivery Date Features? 1.3 How Can Magento 2 Delivery Date Extension Benefit You? 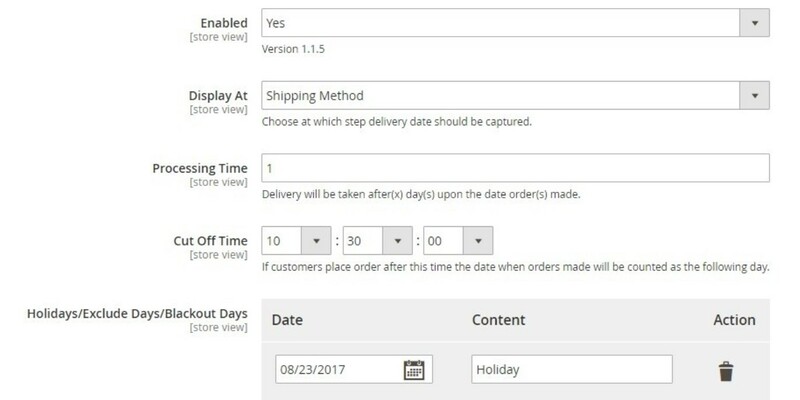 Order Delivery Date for Magento 2 extension makes it more convenient for customers to schedule their prefered time to receive orders. 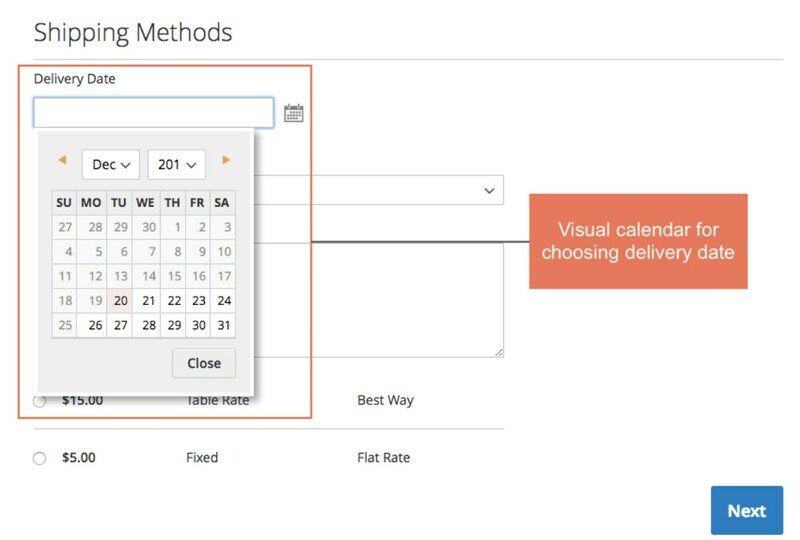 One click on the displayed calendar and customers can easily pick the delivery date. Moreover, delivery details such as interval slot and comment are added to ensure that the orders arrive at the most suitable time. 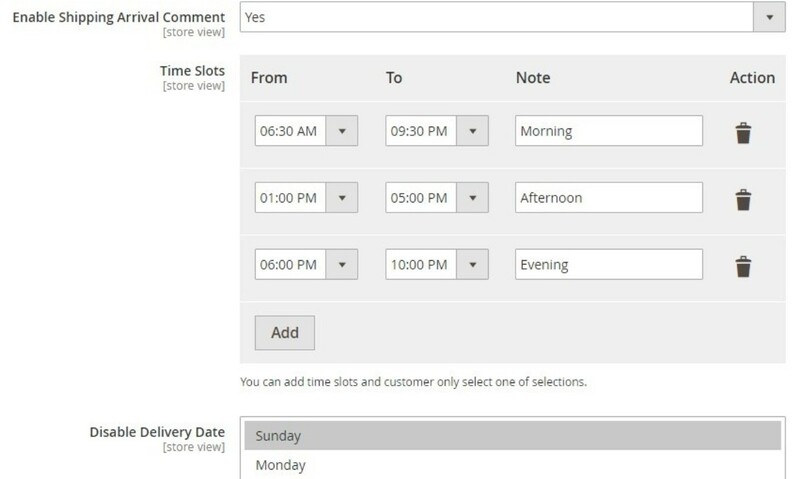 In Admin panel, store owners cannot only edit delivery date, time slot, and shipping arrival comment, but they are also able to configure timing options including processing time, cut off time, Holidays/Exclude Days/Blackout Days, or disabled delivery date. All additional information is included in related documents (Orders, Invoices, Shipments, Credit Memos and emails). Furthermore, Magento 2 Order Delivery Date extension supports API order attributes as well as is available to orders checked out with PayPal and Braintree. Does The Default Support Magento 2 Delivery Date Features? 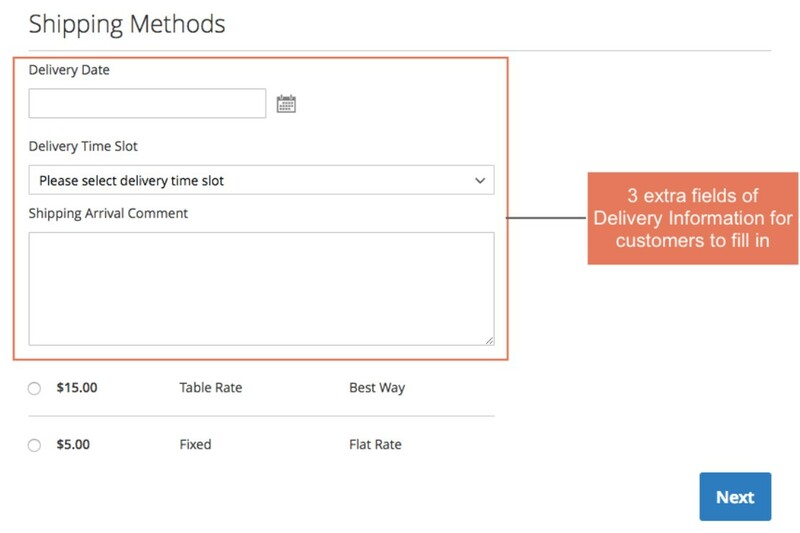 By default, just address information is required to deliver orders while it completely lacks advanced timing option which is the essence of delivery service. Customers only get to know when to receive their purchases via email. Sometimes the delivery drops into the unexpected time which may result in order abandonment or costly re-shipment on another day. Order Delivery Date for Magento 2 extension makes the delivery schedule as detailed as possible for both the sellers and buyers for a better level of customer services. Pick a preferable date and time interval of order delivery. Include an additional delivery information in the comment box. Select a delivery date when checking out with Braintree and Paypal. Check added delivery details on emails, Orders, Shipment, Invoices, etc. Edit the delivery date and arrival comment. Set a preferable timing options as needed: processing time, cut off time, Holidays/Exclude Days/Blackout Days, or disabled delivery date. 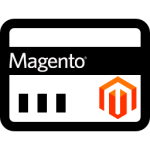 Display additional details of the delivery in Order Grid of the Magento 2 backend. How Can Magento 2 Delivery Date Extension Benefit You? Besides product quality, advanced services, for example, order delivery, are most likely to be high valued by customers. Online consumers on encountering unsatisfactory delivery choices may not hesitate to abandon their shopping cart. Magento 2 Delivery Date extension creates good communication on the delivery issue right at the point of checking out. Excellent service throughout the delivery fulfilment builds customers’ satisfaction and trust with clear expectations about when to receive an order. 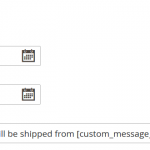 In Magento 2 default, it is hard to clarify when to perform the order delivery. Thanks to Magento 2 Delivery Date extension, delivery information can be well managed in Admin Panel. Let’s get started with General Setting for Magento 2 Delivery Date by navigating as follow Stores ⇒ Configuration ⇒ BSSCommerce ⇒ Order Delivery Date and selecting Yes/No to enable or disable this Magento 2 extension on your sites. 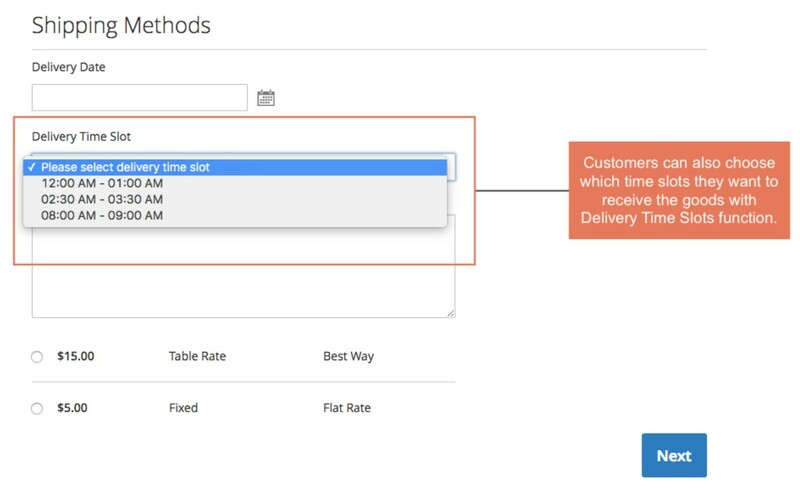 Admins can choose among three options (Shipping Address, Shipping Method, or Review & Payments) at which delivery date functions are visually displayed. To ensure that the order delivery is performed at the most convenient time for both customers and store owners, Magento 2 Delivery Date extension offers admins with various timing options. Firstly, processing time is set at a certain number of dates after order placement when the delivery begins. Cut off time is supported to set a point of time within a day after which the shipment will be conducted on the following day. Admin can also pick several days as Holidays/Blackout Days/Exclude Days/Disable Delivery Date to be faded in the calendar referring that on those days delivery service is not available. 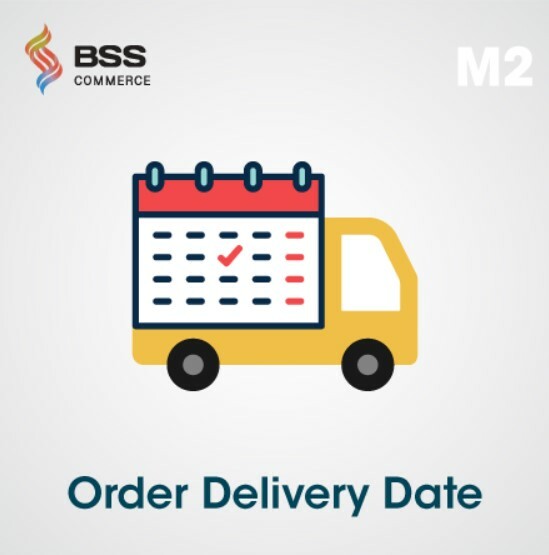 Not only Delivery Date, but admins are also recommended displaying time slots and arrival comment box for customers to add more details for the delivery requirement. The scheduled delivery date is included in Order Grid for admins’ management. In case, the picked delivery date is not available for your stores due to some unexpected reasons; then admins can edit Magento 2 Delivery Date in Order tab of Sales menu. Choose the order needed to apply changes and click Edit. After being configured in the Magento 2 backend, the frontend checkout page is more customer-friendly with more order delivery options including three additional fields for clients to fill in. In Delivery Date, customers just need one click to pick their expecting shipping date. Delivery Time Slot offers various intervals depended on the configurations from the backend. Customers can choose the time period which is most preferable for them to receive their purchases. 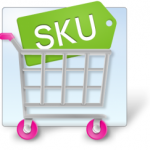 In Shipping Arrival Comment, buyers can leave any comment or remark related to their orders. For example, they can remind the shippers to call them before making the delivery. Nowadays, online shoppers usually expect to have more personalised and convenient delivery choices to meet their busy lifestyle. An un-timing delivery can easily turn potential customers from coming back for more orders. Hence, Order Delivery Date for Magento 2 extension has been come up with to improve customers’ experience, build their loyalty and get more sales.